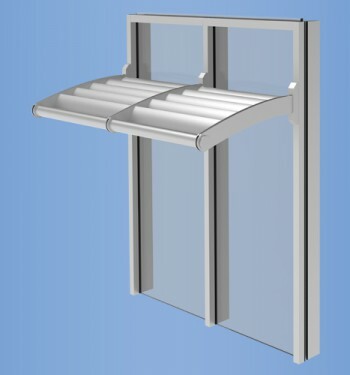 This energy saving storefront system features a dual thermal barrier design to significantly reduce heat transfer and keep internal surfaces warmer. MLP™ (mechanical lock profile) technology delivers superior structural integrity to provide longer vertical spans and horizontal spacings; not to mention its best-in-class thermal performance attributes. 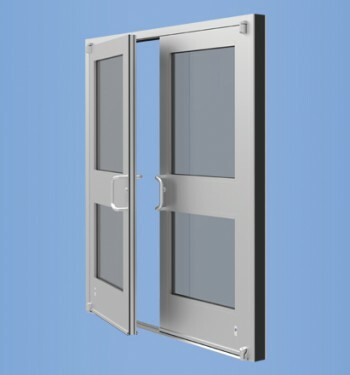 MLP is a trademark of AZON USA INC.
Our MegaTherm® 35/50 XT Advanced Thermal Commercial Swing Doors offer excellent energy efficiency and condensation resistance. They fit seamlessly within our enerGfacade® suite of products, making them a versatile option for clients interested in LEED® certification. YCW 750 XT yields best-in-class thermal performance and exceeds not only current codes, but also exceeds the most stringent green building codes and standards in the market today. 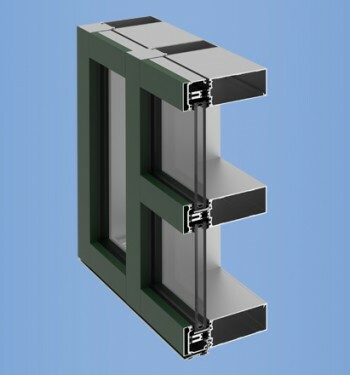 YWW 45 TU is designed specifically to meet the performance requirements of window walls for multistory buildings. Glass is set to the front of the system to maximize thermal performance and may be glazed from either the interior of the building for labor savings or from the exterior at column line applications. The YKK AP ThermaShade® system is designed to improve comfort and lower energy consumption by decreasing solar heat gain. Designers now have a solution that can be applied to both curtain wall and storefront facades to maintain a consistent appearance across the building envelope. 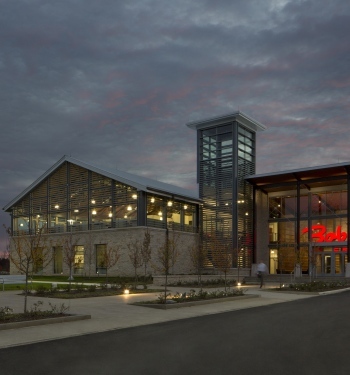 Bob Evans Farms recently built their new headquarters in New Albany, OH. The project featured the enerGfacade line with products from the entrances, storefront and curtainwall categories.